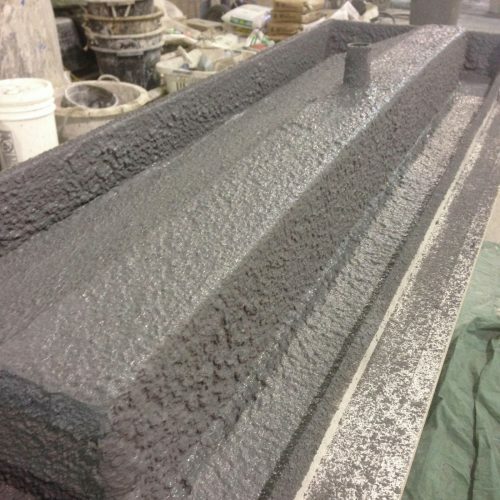 WELCOME TO EVERGREEN CAST STONE. 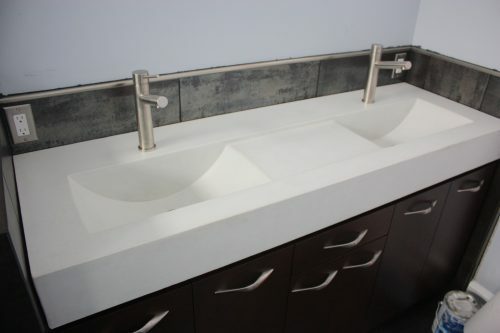 We are designers and fabricators of decorative concrete products, specializing in custom concrete sinks, individually crafted to meet our client’s exact requirements. 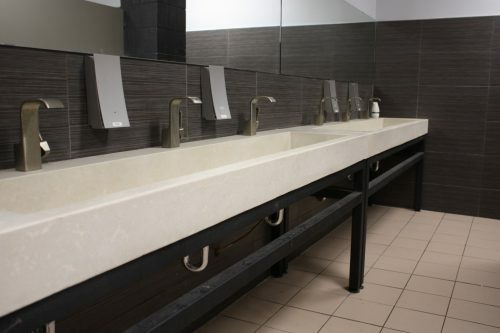 Our focus is on creating affordable, environmentally responsible products without compromising functionality, durability or design integrity. 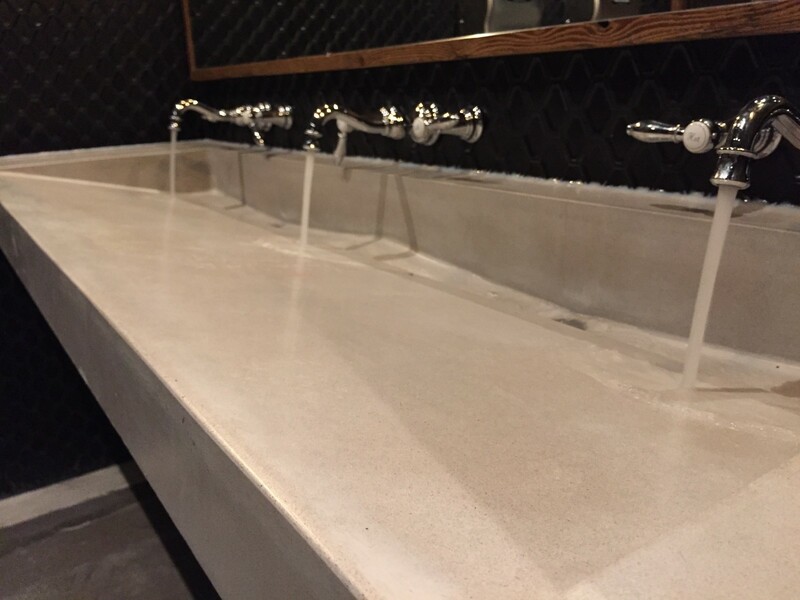 We work with natural materials, and like wood or pottery, each piece will be unique. 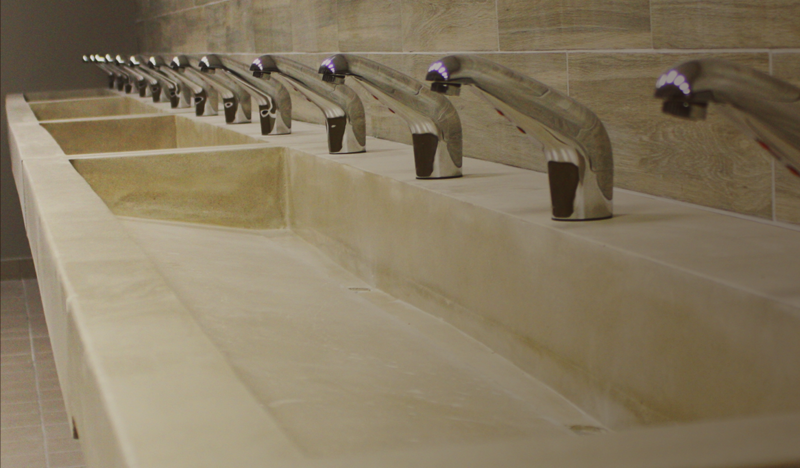 The subtle variations in color and texture are what provide the unique character and beauty of each piece. 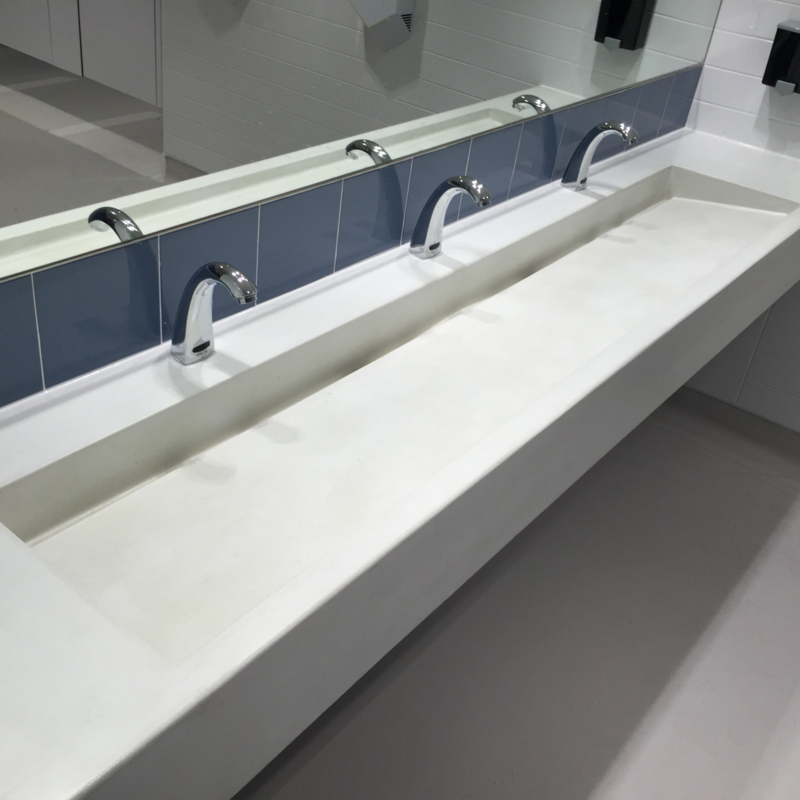 The finished product is polished, non-porous, durable and sealed to withstand the demands of heavy use applications. 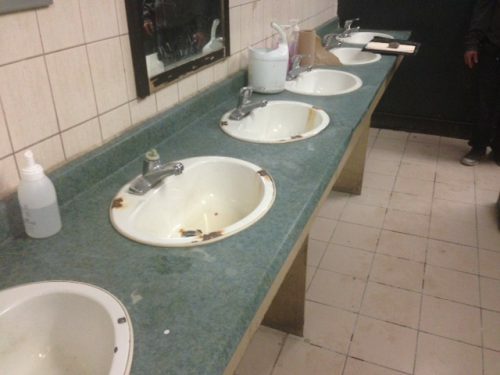 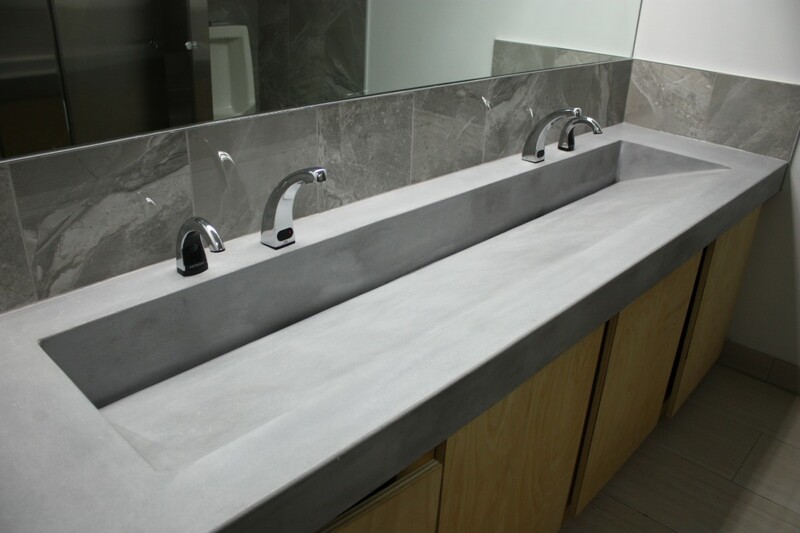 Our sinks always are the focal point of any washroom project. 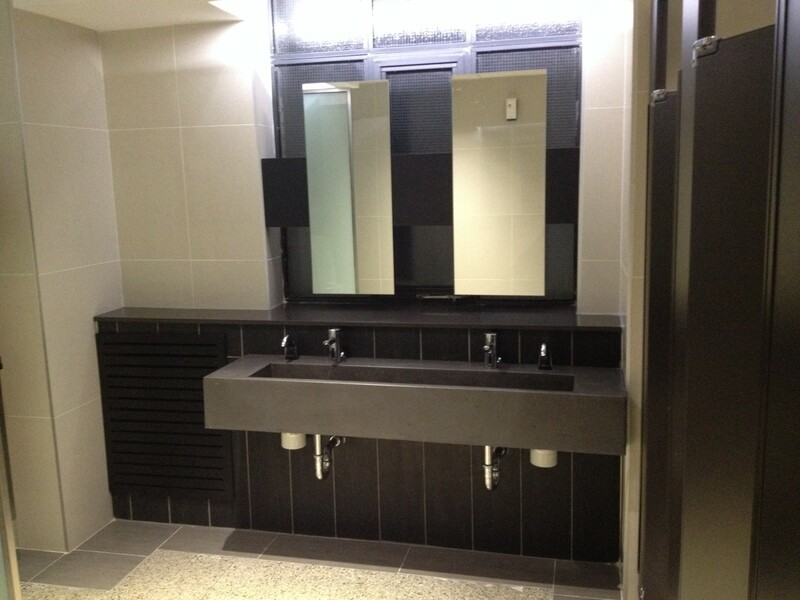 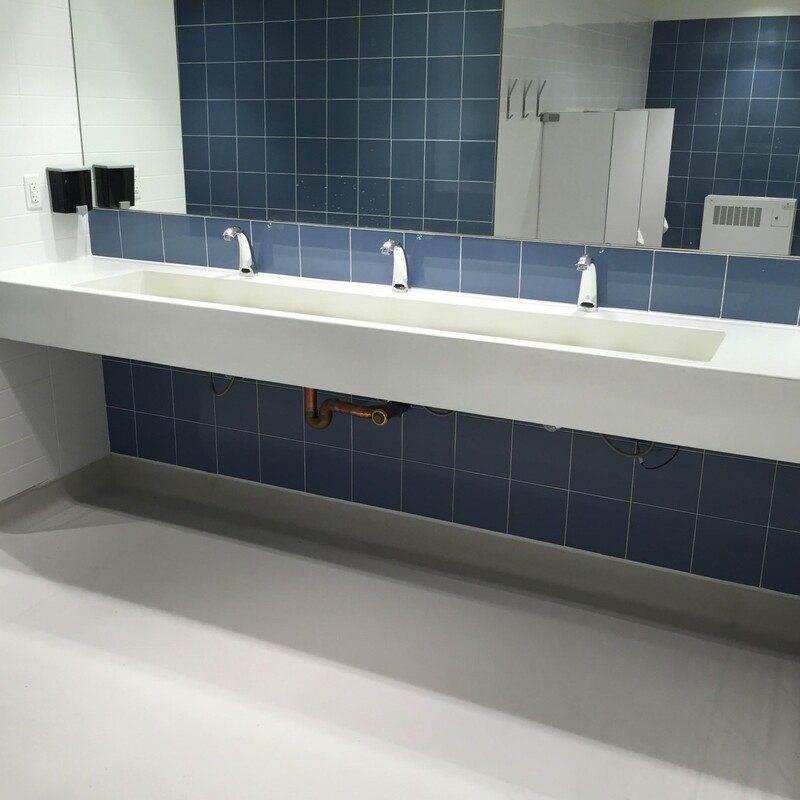 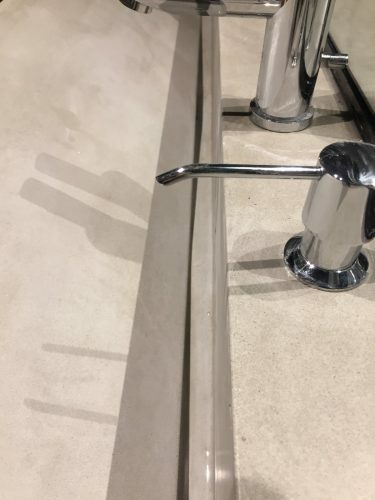 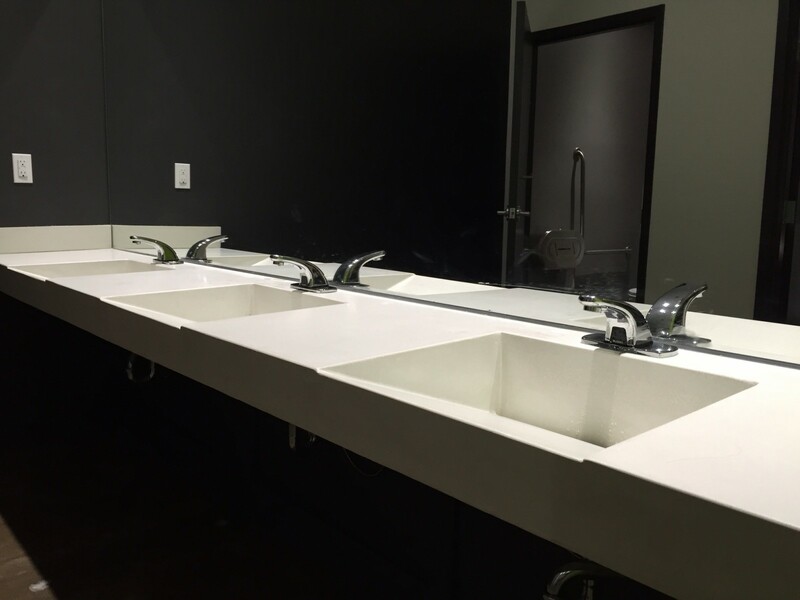 These shallow width sinks were part of an office tower washroom upgrade. 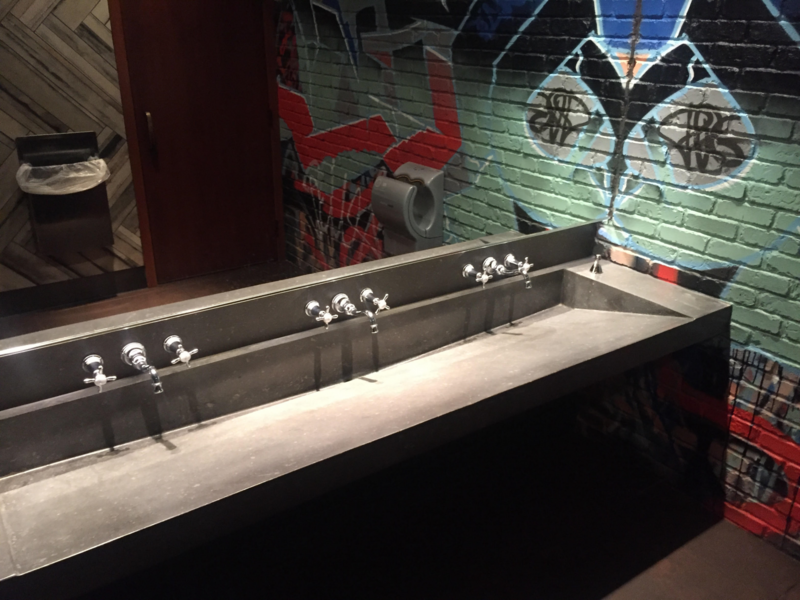 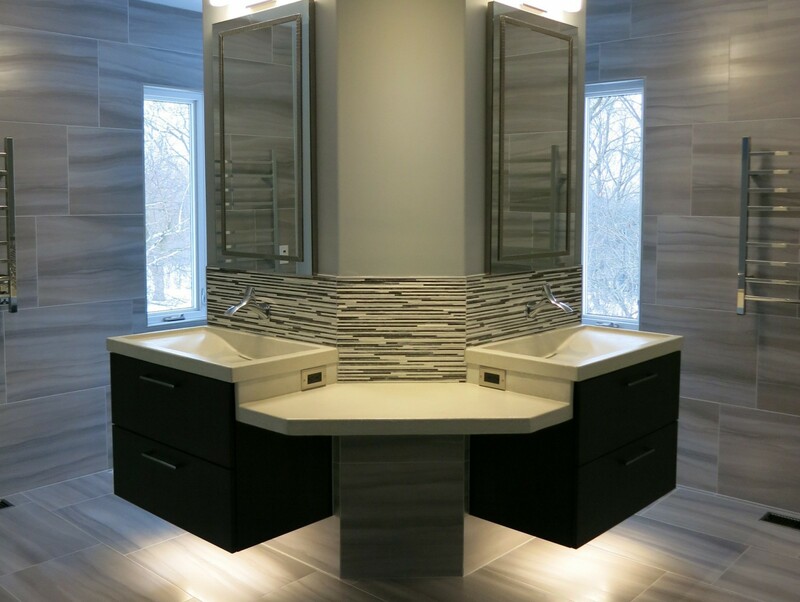 We're always excited to share some of our projects with you, and to show how our custom sinks can become a focal point of any washroom project. 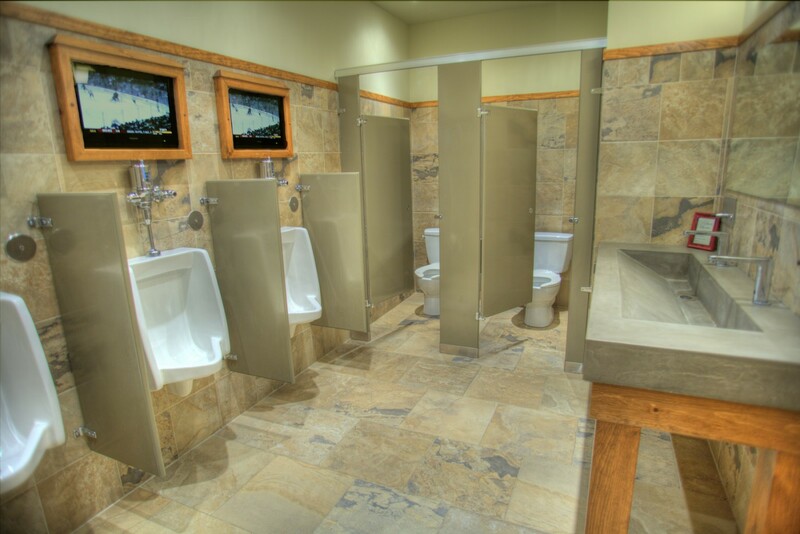 We ship our products anywhere in the USA or Canada.